When Is Chest Pain a Medical Emergency? 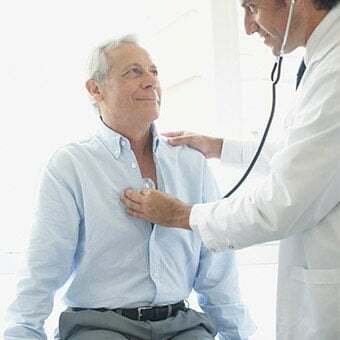 Some causes of chest pain are medical emergencies (most heart problems, for example) and need to be evaluated immediately by medical caregivers. If you have chest pain and are unsure of the cause, seek medical attention immediately to have medical personnel evaluate you for the cause of your chest pain. 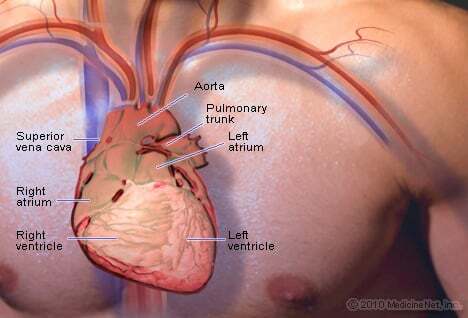 Heart problems are a common cause of chest pain. Coronary artery disease may result in a reduced blood flow to the heart tissue. The sharp pain it can cause is termed angina. This pain may spread to the left arm, both arms, shoulders, upper back, and even cause pain in the jaw. It may also cause pain in the back of the chest. Exercising, working hard, going up a flight of stairs or even emotional stress can trigger this chest pain. Another common cause of heart-related pain is a myocardial infarction or “heart attack.” This is due to a significant reduction or complete blockage of blood flow to an area of the heart muscle. Myocardial infarction often causes crushing or squeezing pain and/or tightness in the chest; this heart problem is a medical emergency. Other conditions may also cause heart muscle problems. In general, anything that causes the heart muscle to become inflamed (a viral infection of heart tissue, for example) can result in myocarditis (damage to the heart muscle due to inflammation). This can result in discomfort or palpitations in the chest along with shortness of breath. Abnormal heartbeats (arrhythmias) may result in regular or irregular heartbeats that can be too fast or slow. Fast heartbeats may result in palpitation symptoms, while slow heartbeats may result in weakness and difficulty breathing. The major blood vessels that are connected to the heart can be damaged by weakness or elevated pressure (hypertension) resulting in arterial dissection or tearing of the vessels. A person experiencing arterial dissection may have severe chest pain similar to that of a myocardial infarction. This situation is also a medical emergency. 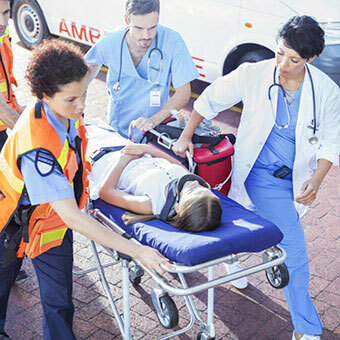 Muscles in the chest and their supportive components such as ligaments can become injured during trauma or inflamed because of overuse even during severe coughing spells. 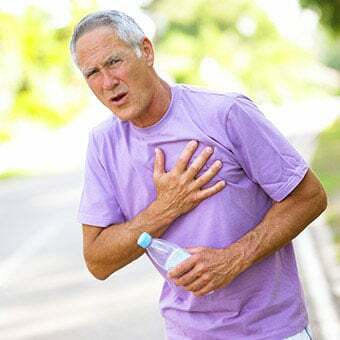 The resulting chest pain is usually described as constant or intermittent and worsens (for example, goes from an ache to sharp pain) with activity or coughing. The area is tender when it is pressed or moved. Nerve pain in the chest can come from any chest nerves that are pinched, cut, or crushed by trauma. However, one source of burning and/or sharp pain in the chest can be caused by shingles. Herpes zoster viruses remain in the body for years after a chickenpox infection and may later reactivate and follow the nerve distribution on the chest, usually producing a sharp pain in a band on one side of the chest. This chest pain may occur before the characteristic rash of shingles develops. The ribs and the sternum are the two bone areas most often associated with chest pain. Trauma can cause rib fractures that produce sharp pain when moving the chest, especially when taking deep breaths. 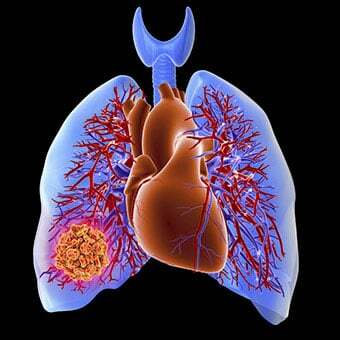 Rib cancers also can produce chest pain. Pain and tenderness may occur at or near the site of the cancer while the affected bone area produces a more constant dull pain or aching in the chest. 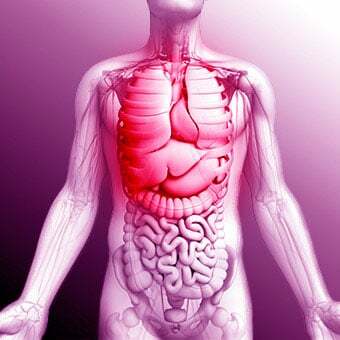 Inflammation may occur at the junctions where the ribs meet the sternum. This condition is called costochondritis. The area is tender when palpated and when the person moves in certain directions or takes deep breaths. This pain is often reproducible when palpating the sternum. Psychological disorders such as anxiety, mental stress, and/or panic attacks can cause people to have sharp chest pains and rapid heartbeats that may result in a tightness or discomfort in the chest. The psychological disorders that cause chest pain are usually accompanied by fear, a sense of doom, or anxiety. These disorders are often accompanied by shortness of breath, dizziness, rapid breathing, and sweating along with chest pain. There are other potential causes of various types of chest pain. Some examples include metastatic cancers that spread into the lungs, chronic obstructive pulmonary disease (COPD), asthma, diaphragm irritation, mitral valve prolapse (MVP), and others. Although many conditions may potentially cause chest pains, cardiac and lung problems are the chief causes of chest pain that may require emergency treatment. 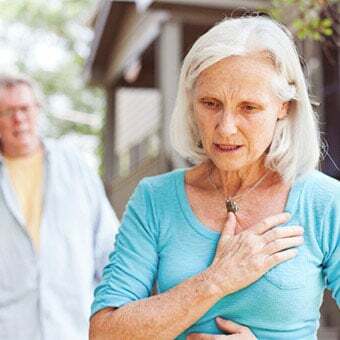 If you are experiencing chest pain -- there are so many potential causes (some of which are medical emergencies) -- you should be evaluated by a medical caregiver to determine the underlying cause. 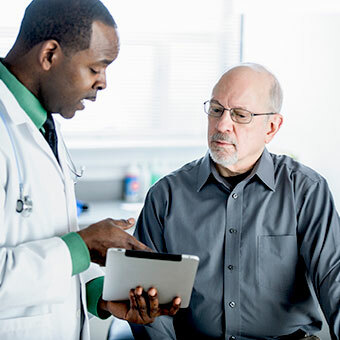 If your chest pain is intermittent or you have problems swallowing or have a fever and/or chills, you should seek urgent evaluation by a medical caregiver. Women who are experiencing a heart attack may have some less pronounced and sometimes different symptoms than men. For example, pain of a heart attack may be only expressed as discomfort in the neck, jaw, shoulders, and/or back. Women may have right arm pain instead of left arm pain and complain more of indigestion, nausea, and fatigue than men. Nonetheless, women with these symptoms should be seen in an emergency department to be evaluated. If chest pain originates from an unknown source, the safest thing to do is to call 9-1-1 and be examined by a physician in an emergency department. 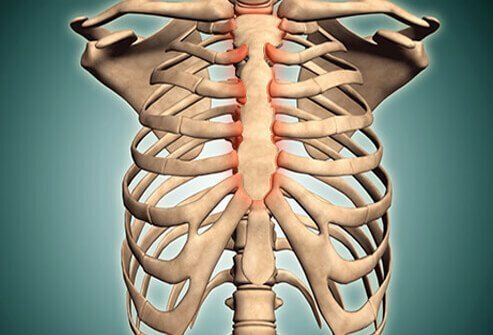 Costochondritis is inflammation of the cartilage where the ribs attach to the sternum. Tietze syndrome affects the same region of the chest and causes inflammation, tenderness, and swelling. Anti-inflammatory medications, rest, physical therapy, and cortisone injections are suitable methods of treatment for both costochondritis and Tietze syndrome.